The National Grid has officially opened tender for their Demand Side Balancing Reserve (DSBR) scheme, and is looking for any businesses willing to reduce the amount of energy they use during peak times. The National Grid’s DSBR scheme pays businesses that reduce the amount of energy they use throughout the 2015/16 winter months, with the aim of diverting this energy to UK households in an attempt to reduce strain on the power grid during winter evenings. This year’s DSBR scheme carries extra importance following a recent energy security scare after a fire broke out at Didcot B, a major UK power station. However, a spokesperson for National Grid was keen to point out that “[the service would] only be used in extreme circumstances, in the very unlikely event that there is insufficient generation available to meet demand." Last year’s DSBR scheme managed to raise around 319MW of energy, but the National Grid has announced plans to increase this figure to a staggering 1800MW. To help achieve this goal a supplemental balancing reserve (SBR) has been announced, to run in conjunction with the DSBR scheme. The SBR will look to bring online more back-up power sources before winter 2015/16. 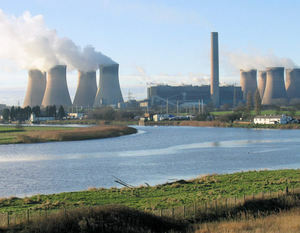 These two schemes are part of a long line of measures being explored by the National Grid in an attempt to satisfy the country’s increasing appetite for energy. The latest round of tender will run until Friday 5th December and you can apply through The DSBR portal.